Youth radio producers shared an impressive 452 (!) 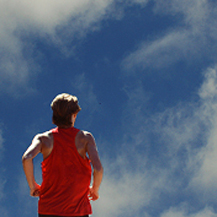 new stories on PRX in 2012. Here are Generation PRX's favorites, showcasing what we think makes youth radio great: honest, format-breaking and original work. 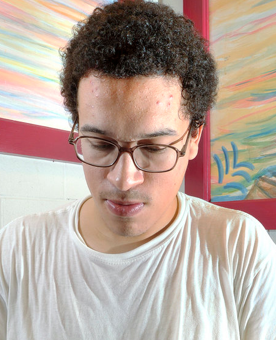 Poet Keith Warfield, 18, is a senior at TEAM Englewood Community Academy High School. This is his fourth year participating in Louder Than a Bomb. "Whatever you are, be a good one." is an Abraham Lincoln quote that inspired Keith to write about himself and the Chicago neighborhood of Englewood that he hails from. Shayla Torres is a senior at Community Academy in Philadelphia and is going to college next year. But first, she’ll have to leave her grandparents behind. To see the audio slideshow video, go to http://vimeo.com/40822935. 16-year-old Trent needs answers, so he skips school and heads out in to the desert to do some thinking. His mother does not approve. 16-year-old Trent needs answers, so he skips school and heads out in to the desert to do some thinking. His mother does not approve. This story captures something important about the conflicts that arise between mothers and their teenage sons. It might break your heart, just a little bit. 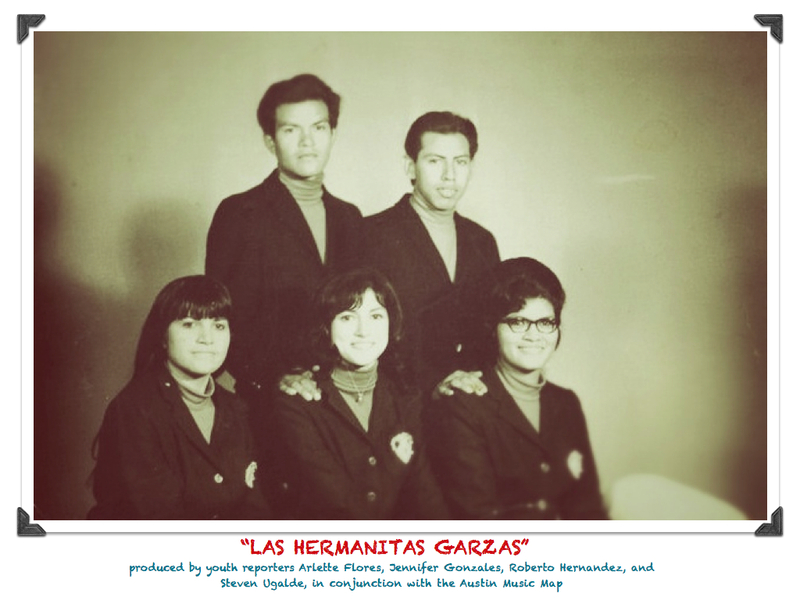 The story of one family and many generations of women in Conjunto music. Produced by Stories Summer Institute youth reporters Arlette Flores, Jennifer Gonzales, Roberto Hernandez, and Steven Ugalde, in conjunction with the Austin Music Map, Localore, and KUT 90.5. Alaska Teen Media Insitute Reporter Chloe Chaobal with a story about the Aggressors, Victims, Bystanders program taught to teachers and students in the Anchorage School District to help combat bullying. A personal exploration of my experience of racism in high school. After 9/11 people’s perception of a terrorist changed. And at least one high school student felt the effects of this change. This story is about how one kid was bullied in the 9th grade with the term “terrorist.” This piece explains his emotions, reactions, and issues of how it started and ended. He gets help discovering what happened and thoughts from his family and friends. Poet AJ Tran, 18, is a senior at Northside College Prep. This is the second year she has represented her school at Louder Than a Bomb, which advanced to the Final round of competition in the 2012 Festival. Dear First Grade Teacher is AJ's poetic commentary on gender, how our society teaches young children what 'girls' can do and what 'boys' can do, without leaving enough room for those who may think otherwise. Carlos Vigil, from the YouthWorks program in Santa Fe, NM, wrote this poem-rap about growing up poor in New Mexico. 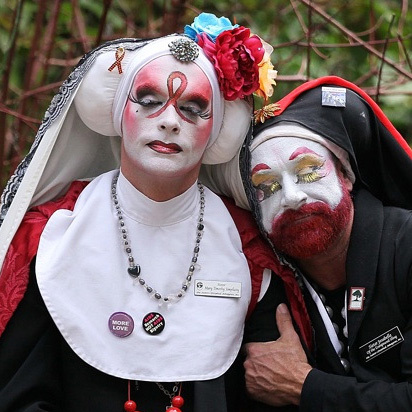 outLoud Radio producer Mykel takes us inside the world of the Sisters of Perpetual Indulgence, a group of fabulous queer San Francisco community organizers in nun outfits. From the outside, Jacorey looks like the party guy - he's 16, has his own apartment and seems to be living large. But Jacorey's private desire for an average life - with a normal family - drives him nearly over the edge. From the outside, Jacorey looks like the party guy - he's 16, has his own apartment and seems to be living large. But Jacorey's private desire for a an average life - with a normal family - drives him to the edge. When a lucky intervention from his grandmother saves his life, he realizes he has a lot to live for. This piece was produced as part of Blunt Youth Radio's Incarcerated Youth Speak Out Project at the Long Creek Youth Development Center in South Portland, Maine. Funding was provided in part by a grant from the Maine Arts Commission. A behind the scenes look at the making of the Youth Radio/1-O.A.K. remix of Marvin Gaye's 'What's Going On' for the Kennedy Center. Marvin Gaye’s album, What’s Going On, has been called one of the great soul music records of all time. The album was showcased at a 1972 concert at the Kennedy Center in Marvin’s hometown of Washington DC. The Kennedy Center commemoratated that live performance, and has asked select musicians to re-imagine “What’s Going On” — and I’m one of those musicians. A lot of teenagers want to make it big as artists--whether acting in movies, singing ballads on American Idol, or making it in the hip hop world. That's what Radio Rookie Jimmy Musa dreams of -- and he thinks he's found a way to get an edge over everyone else. 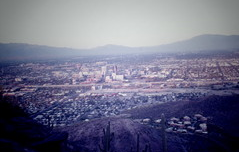 "At some point when I was growing up I admit I was mad at my parents for coming here. I was mad that they had to work so hard, that we had to wait in line to get free food, that we had to lay low, and that if I told my parents how I felt they’d think I was selfish." This story offers a new perspective on one of the most politically charged issues of our time: illegal immigration. A lot of attention has been paid to young adults who were brought here illegally with their parents and are now growing up undocumented. There’s been much less focus on their younger siblings—the kids who were born in the United States and grow up in mixed-status homes. That’s the case for Alicia Martinez, who is using a fake name to protect her family’s identity. Alicia lives in Port Richmond, a neighborhood on the north shore of Staten Island with one of the fastest growing immigrant populations in New York. She has struggled to meet her parents’ expectations and to overcome the guilt she feels that her older sister’s life is much more limited than hers. What makes some sounds noise pollution while some sounds are pleasant? Terrascope Youth Radio reporter Andy Cox offers insight, and examples. Angelo and Joey took a brave step into the world of Heavy Metal. This is a story from one of their first big interviews with the lead singer from Anthrax, Joey Belladona. Using the poem "Where I'm From" by Willie Perdomo as a creative prompt, students created poems to share and express where they come from and how they view the world: their neighborhoods, homes and experiences. Using the poem "Where I'm From" by Willie Perdomo as a creative prompt, students created poems to share and express where they come from and how they view the world: their neighborhoods, homes and experiences. After recording the poetry in small groups, students used Final Cut Pro to edit their work, adding music and sound effects to complete their message. Pieces were written, performed, recorded, and edited by students through Free Spirit Media at North Lawndale College Prep on the West Side of Chicago, IL.